A Wiltshire manufacturer specialising in the design and construction of seating for use in the commercial, education and healthcare sectors, has reported a 17% increase in turnover after re-shaping its business model. 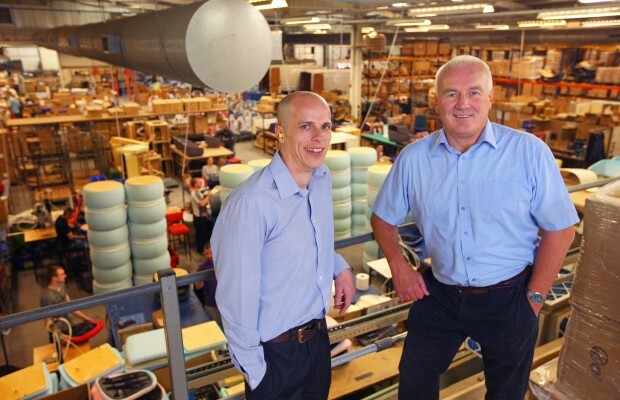 Summit Chairs, which is based in Trowbridge, received support from the Business Growth Service after encountering problems with working methods following a move to a new factory. Alan Davies, Operations Director at Summit Chairs, explained: “It was clear that if we were to meet our target of 15% year-on-year growth we needed to change how our workforce was operating, with factory staff working closer to the processes and becoming more involved in decision making. Manufacturing experts from the Business Growth Service also provided support to Summit Chairs with an on-site project that reviewed the company’s planning processes. Alan Davies added: “It was like a lightbulb had been switched on. We realised we needed to be planning much further ahead of time in order to meet the unpredictable nature of our demand cycle. Summit Chairs employs 50 staff and has a turnover of £4.7m. Listen to what Alan Davies has to say about working with the Business Growth Service here. For further information, call 0300 303 0034, email: advice@mymas.org, visit www.greatbusiness.gov.uk/mas or follow @BGS_tweets on Twitter. *Summit Chairs selected expert consultants from Exelin, to deliver part of the project, which was grant funded by the Business Growth Service.